(VEN) - So far Vietnamese businesses have invested in 1,049 overseas projects with total registered capital of US$20.4 billion. Vietnamese firms now invest in 68 countries and territories across five continents. Do Nhat Hoang, Director of the Foreign Investment Agency under the Ministry of Planning and Investment (MPI), said that overseas Vietnamese investment over the last five years has shown positive changes. Some projects have had good results, significantly contributing to Vietnam’s deepening integration into the global economy, and strengthening Vietnam’s position in the international arena. Overseas Vietnamese investment covers 18 sectors and fields, concentrating on mineral mining, industrial crop plantations, electricity generation, telecommunications, finance, banking, real estate, processing and manufacturing. So far, US$5.5 billion of overseas Vietnamese investment has been disbursed, accounting for more than one quarter of total registered capital. Of this, over US$3 billion was invested in mining, oil and gas; US$711 million in agriculture; over US$500 million in telecommunications; and over US$500 million in hydroelectricity. 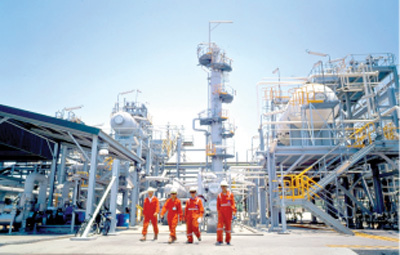 Overseas investment by the Vietnam National Oil and Gas Group, Viettel Group, Vietnam Rubber Industry Group, Song Da Corporation, Hoang Anh-Gia Lai Group, and Long Thanh Golf Joint Stock Company has exceeded US$1 billion. The top 10 countries receiving Vietnamese investment include Laos, Cambodia, Russia, Venezuela, Peru, Algeria, Malaysia, Myanmar, the US, and Tanzania. The MPI predicted overseas Vietnamese investment would reach new markets in the future. Hoang said that Vietnam was integrating more deeply into the global economy through a number of free trade agreements including those signed with the Republic of Korea, the EU, the Trans-Pacific Partnership, and the ASEAN Economic Community. International integration will bring Vietnamese businesses opportunities to invest abroad. Vietnam’s new Investment Law has been approved, under which the state encourages domestic businesses to invest overseas to access modern technologies, improve their management capabilities and seek new resources for socioeconomic development. On September 25, 2015, the government issued Decree 83/2015/ND-CP on overseas investment. The decree stipulates clear responsibilities for Vietnamese diplomatic missions abroad. Specifically, they are responsible for coordinating with overseas Vietnamese organizations to assist investors in abiding by the regulations of countries and territories that receive Vietnamese investment, protect the legitimate interests of investors, and helping overcome difficulties during the implementation of projects. To create favorable conditions for domestic businesses to invest abroad, the MPI will prioritize projects that can make the most of external resources to serve Vietnam’s development goals through encouraging domestic businesses to increase investment in traditional markets such as Laos, Cambodia, Russia, while at the same time promoting investment in new markets such as Latin America, East Europe, and Africa, based on their competitive advantages and actual capabilities. The MPI believed there would be lots of opportunities for overseas Vietnamese investment to accelerate in the near future.